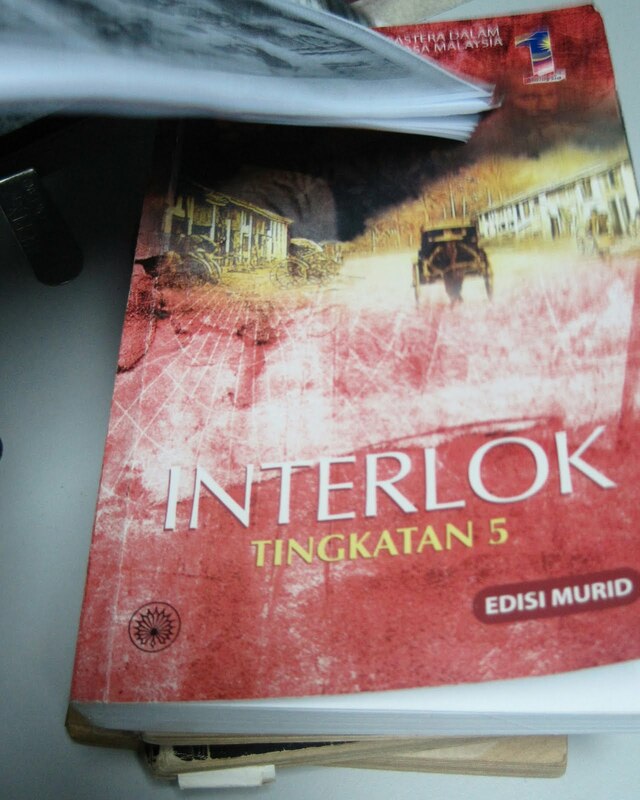 The independent panel set up to examine with a view to removing parts of Datuk Abdullah Hussain's novel Interlok described as sensitive by the Indian community met for the first time on Wednesday. Panel chairman Distinguished Professor Datuk Shamsul Amri Baharuddin said after the meeting that "no time limit has been given but we want to complete it fast". Yes, please do that panel members. You have to think of the poor fifth-formers who have to spend time learning about the literature component of the subject Bahasa Malaysia. My nephew is one of them. He is understandably confused about the whole thing and is annoyed that the dispute has dragged on for nearly three months. Fifth formers have to take an examination -- the Sijil Pelajaran Malaysia -- later this year. It is understood that students in some schools in Kuala Lumpur, Putrajaya, Selangor and Negeri Sembilan (these are the schools which are using the student's edition of the novel: see photo) have started studying the text but teachers are tactfully skirting around the sensitive bits. The other panel members are Datin Siti Saroja Basri, wife of Datuk Abdullah Hussain, Dewan Bahasa dan Pustaka director-general Datuk Termuzi Abdul Aziz, University of Malaya's Malay Studies Academy director Professor Datuk Zainal Abidin Borhan, Universiti Putra Malaysia Malay Studies lecturer Associate Professor Dr Lim Swee Tin, Universiti Pendidikan Sultan Idris Aminuddin Baki Centre for Global Education director Professor Dr N.S. Rajendran, former education ministry officer G. Krishnabahawan and writer Uthaya Sankar S.B. Journalist Jehan Mohamad has an interesting piece on Censoring literature. Click here to read. See also the following links.